13. On 11 April 2000 an investigating judge of the Brussels tribunal de première instance issued “an international arrest warrant in absentia” against Mr. Abdulaye Yerodia Ndombasi, charging him, as perpetrator or co-perpetrator, with offences constituting grave breaches of the Geneva Conventions of 1949 and of the Additional Protocols thereto, and with crimes against humanity. 45. [...] [T]he Congo originally challenged the legality of the arrest warrant of 11 April 2000 on two separate grounds: on the one hand, Belgium’s claim to exercise a universal jurisdiction and, on the other, the alleged violation of the immunities of the Minister for Foreign Affairs of the Congo then in office. However, in its submissions in its Memorial, and in its final submissions at the close of the oral proceedings, the Congo invokes only the latter ground. 54. The Court accordingly concludes that the functions of a Minister for Foreign Affairs are such that, throughout the duration of his or her office, he or she when abroad enjoys full immunity from criminal jurisdiction and inviolability. That immunity and that inviolability protect the individual concerned against any act of authority of another State which would hinder him or her in the performance of his or her duties. 58. The Court has carefully examined State practice, including national legislation and those few decisions of national higher courts, such as the House of Lords or the French Court of Cassation. It has been unable to deduce from this practice that there exists under customary international law any form of exception to the rule according immunity from criminal jurisdiction and inviolability to incumbent Ministers for Foreign Affairs, where they are suspected of having committed war crimes or crimes against humanity. The Court has also examined the rules concerning the immunity or criminal responsibility of persons having an official capacity contained in the legal instruments creating international criminal tribunals, and which are specifically applicable to the latter (see Charter of the International Military Tribunal of Nuremberg, Art. 7; Charter of the International Military Tribunal of Tokyo, Art. 6; Statute of the International Criminal Tribunal for the former Yugoslavia, Art. 7, para. 2; Statute of the International Criminal Tribunal for Rwanda, Art. 6, para. 2; Statute of the International Criminal Court, Art. 27). It finds that these rules likewise do not enable it to conclude that any such an exception exists in customary international law in regard to national courts. Finally, none of the decisions of the Nuremberg and Tokyo international military tribunals, or of the International Criminal Tribunal for the former Yugoslavia, cited by Belgium deal with the question of the immunities of incumbent Ministers for Foreign Affairs before national courts where they are accused of having committed war crimes or crimes against humanity. The Court accordingly notes that those decisions are in no way at variance with the findings it has reached above. In view of the foregoing, the Court accordingly cannot accept Belgium’s argument in this regard. 59. It should further be noted that the rules governing the jurisdiction of national courts must be carefully distinguished from those governing jurisdictional immunities: jurisdiction does not imply absence of immunity, while absence of immunity does not imply jurisdiction. Thus, although various international conventions on the prevention and punishment of certain serious crimes impose on States obligations of prosecution or extradition, thereby requiring them to extend their criminal jurisdiction, such extension of jurisdiction in no way affects immunities under customary international law, including those of Ministers for Foreign Affairs. These remain opposable before the courts of a foreign State, even where those courts exercise such a jurisdiction under these conventions. 60. The Court emphasizes, however, that the immunity from jurisdiction enjoyed by incumbent Ministers for Foreign Affairs does not mean that they enjoy impunity in respect of any crimes they might have committed, irrespective of their gravity. Immunity from criminal jurisdiction and individual criminal responsibility are quite separate concepts. While jurisdictional immunity is procedural in nature, criminal responsibility is a question of substantive law. Jurisdictional immunity may well bar prosecution for a certain period or for certain offences; it cannot exonerate the person to whom it applies from all criminal responsibility. 61. Accordingly, the immunities enjoyed under international law by an incumbent or former Minister for Foreign Affairs do not represent a bar to criminal prosecution in certain circumstances. First, such persons enjoy no criminal immunity under international law in their own countries, and may thus be tried by those countries’ courts in accordance with the relevant rules of domestic law. Secondly, they will cease to enjoy immunity from foreign jurisdiction if the State which they represent or have represented decides to waive that immunity. Thirdly, after a person ceases to hold the office of Minister for Foreign Affairs, he or she will no longer enjoy all of the immunities accorded by international law in other States. Provided that it has jurisdiction under international law, a court of one State may try a former Minister for Foreign Affairs of another State in respect of acts committed prior or subsequent to his or her period of office, as well as in respect of acts committed during that period of office in a private capacity. 75. The Court has already concluded [...] that the issue and circulation of the arrest warrant of 11 April 2000 by the Belgian authorities failed to respect the immunity of the incumbent Minister for Foreign Affairs of the Congo and, more particularly, infringed the immunity from criminal jurisdiction and the inviolability then enjoyed by Mr. Yerodia under international law. Those acts engaged Belgium’s international responsibility. The Court considers that the findings so reached by it constitute a form of satisfaction which will make good the moral injury complained of by the Congo. 65. The principle of a “universal jurisdiction” as so understood is asserted in Article 49 of the First Geneva Convention of 12 August 1949, among other places. But the conception which the respondent State has of this principle, and above all the way in which it seeks to apply it in the present case, deviate from the law as it stands. 34. I now turn to the Court’s proposition that immunities protecting an incumbent Foreign Minister under international law are not a bar to criminal prosecution in certain circumstances, which the Court enumerates. The Court mentions four cases where an incumbent or former Minister for Foreign Affairs can, despite his immunities under customary international law, be prosecuted: [...] (Judgment, para. 61). In theory, the Court may be right: immunity and impunity are not synonymous and the two concepts should therefore not be conflated. In practice, however, immunity leads to de facto impunity. All four cases mentioned by the Court are highly hypothetical. 35. Prosecution in the first two cases presupposes a willingness of the State which appointed the person as a Foreign Minister to investigate and prosecute allegations against him domestically or to lift immunity in order to allow another State to do the same. 59. International law clearly permits universal jurisdiction for war crimes and crimes against humanity. For both crimes, permission under international law exists. For crimes against humanity, there is no clear treaty provision on the subject but it is accepted that, at least in the case of genocide, States are entitled to assert extraterritorial jurisdiction. In the case of war crimes, however, there is specific conventional international law in support of the proposition that States are entitled to assert jurisdiction over acts committed abroad: the relevant provision is Article 146 of the IVth Geneva Convention, which lays down the principle aut dedere aut judicare for war crimes committed against civilians. b. Is it a crime against humanity to make statements constituting incitement to racial hatred? 3. (Para. 60) What is the difference between the concepts of “impunity” and “immunity”? b. (Paras 56-58) Is there a customary exception to the immunity ratione personae provided for under IHL in the event of prosecutions for international crimes? 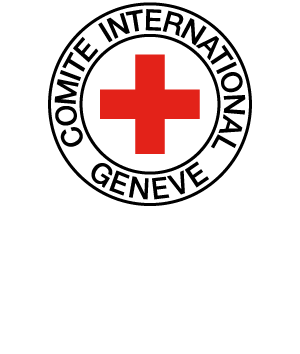 To the obligation to search for and prosecute perpetrators of grave breaches of IHL when those concerned are immune ratione personae under international law? a. Was the issue before the Court the immunity of the ruler in office or of the former ruler? Does the decision also relate to the immunity of the former ruler? b. Why does the former ruler continue to benefit from immunity for acts committed in the discharge of his duties during his term in office? c. Can it be supposed that rulers committing grave breaches of IHL do so in a private capacity? 8. Does the reasoning by which the Court granted full immunity to rulers in office and a degree of immunity to former rulers apply only to prosecutions based on universal jurisdiction by default or also when the suspected criminal is present in the territory of the prosecuting State? When the prosecuting State exercises its competence in relation to a crime committed on its territory? a. If we assume that the obligation to prosecute takes precedence over immunity, would this hold for rulers in office as well? b. What would the consequences be if the obligation to prosecute were systematically given priority over international immunity? 11. How would you propose to reconcile the obligation to prosecute under IHL and international immunities? b. Does IHL allow universal jurisdiction to be established by default? 13. Why did Belgium have to withdraw the arrest warrant at a time when Mr Yerodia was no longer a government minister? Was this a case of immunity of former rulers for official acts? Was it a consequence of the general obligation to stop a continuing violation? A re-establishment of the situation which existed before the wrongful act was committed? A kind of satisfaction? Could Belgium issue a new warrant?